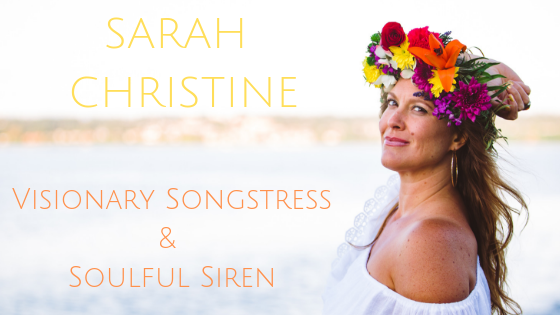 May 19, 2015 sarahchristinemusicLeave a Comment on Frequency First! Its a beautiful thing to witness how the frequency of our thoughts and vibrations bring people, experiences and opportunities into our lives. I believe that synchronicities along with coincidences are merely a result of the Universe orchestrating on our behalf to bring about the reality we desire to create. As I tend to the nurturing of my Spirit with all the goodness that feeds me…gardening, yoga, music, quality family time, cooking, long walks in nature and communion with Source I feel more in alignment and open to receive the bountiful abundance that is available to all of us. I encourage you to feed your Spirit and make self nurturing a priority…Its the foundation from which we can be in our highest power and serve the greater good! Next Stevie Wonder is a fan!! !